Couple of pics here that are bugging me. It seems when I shoot in portrait orientation, many of the faces have soft focus. I can understand at 2.8 I'm asking for trouble, especially if my focus box isn't on the face. However, at 5.6, even if I focused on the chest, shouldn't the face be sharp? I try to square up as much as possible, as opposed to pointing up or down at the subject, but I tend to get this a lot. Is this just poor technique, or could my lens be at fault? Thank you for any feedback you can give. 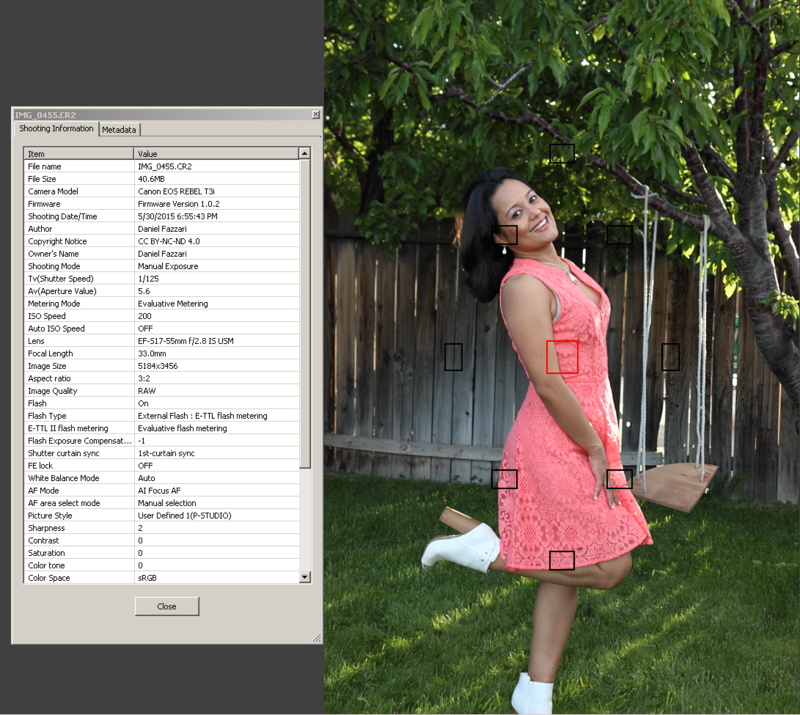 I am not very familiar with the Canon focusing system but it looks like your focus point is the red square and that you are in manual selection mode for the autofocus area -- which means you are choosing exactly where the focus will be. 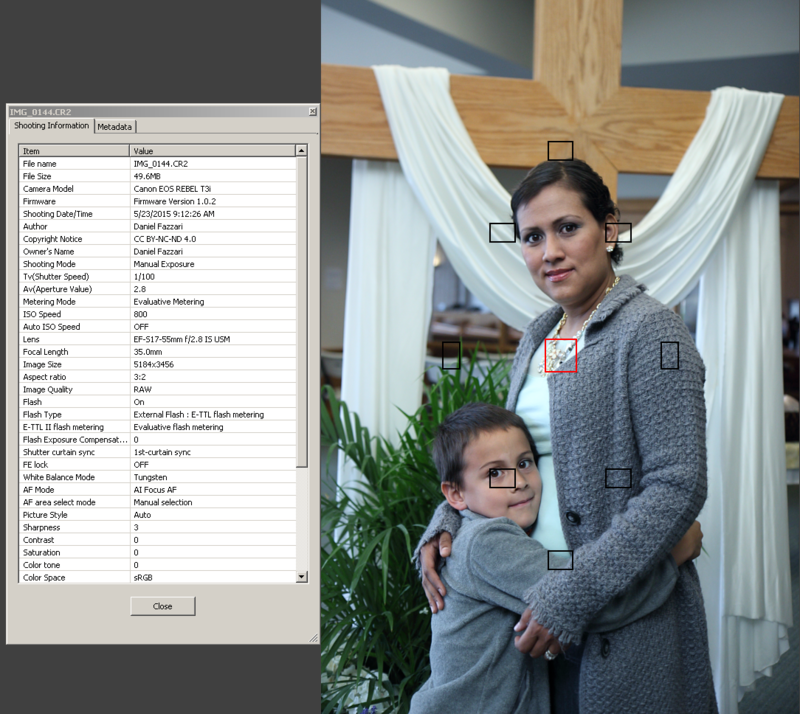 So, as your images show, it appears that the focus point in the photo of the woman and child is on the woman's chest. And at f2.8 -- a very shallow aperture -- it's very unlikely her face will be in focus since it's not exactly on the same plane as her chest. Close yes but close doesn't help at f2.8. You need to choose the top focus point (atop her head right now) as the 'chosen' focus point for this shot and move the camera until that focus point is on her eye nearest to you (if either is nearer). Then recompose if necessary. Or, keep the focus point in the center, focus and, which shutter held halfway down to maintain focus, drop camera to recompose shot. With the woman in pink you have the exact same problem. I am guessing her face is better in focus than the other woman since you're now at f5.6 but her face is still far away from her arm/ribs -- where the focus point appears to be -- and not on same plane. All this is assuming I'm correct that your focus point is the red square. (I use Nikon). Do you know how to choose the point of focus? If not it should be in your manual. Looking at your comments, above, it looks like you know you're focusing on the women's chests. So you must know that that's where your focus point is? If so, why are you focusing on their chests and not faces? Skipper, thank you for responding. Yes, the red box is the focus point. I think I am just being lazy and assuming the faces would be in the same plane, maybe because I got away with it before at smaller apertures. It is apparent that they aren't, and I will start moving the focus point exactly where I want. Sometimes I need someone to show me the "duh" moments, thanks again! I suspect your main problem here is that you are using AI Focus AF. You're leaving too much up to the camera to decide. I would rather be more specific about what I focus on. Make sure you only really rely on the cross-type sensors. This means that the outer sensors are usually not wonderful choices when the light is low, or your subject is low contrast or backlit. Thank you, Neil. Re-read the article, and it makes sense!